The CH28 chair from Carl Hansen convinces with its sharp lines and pleasant comfort. 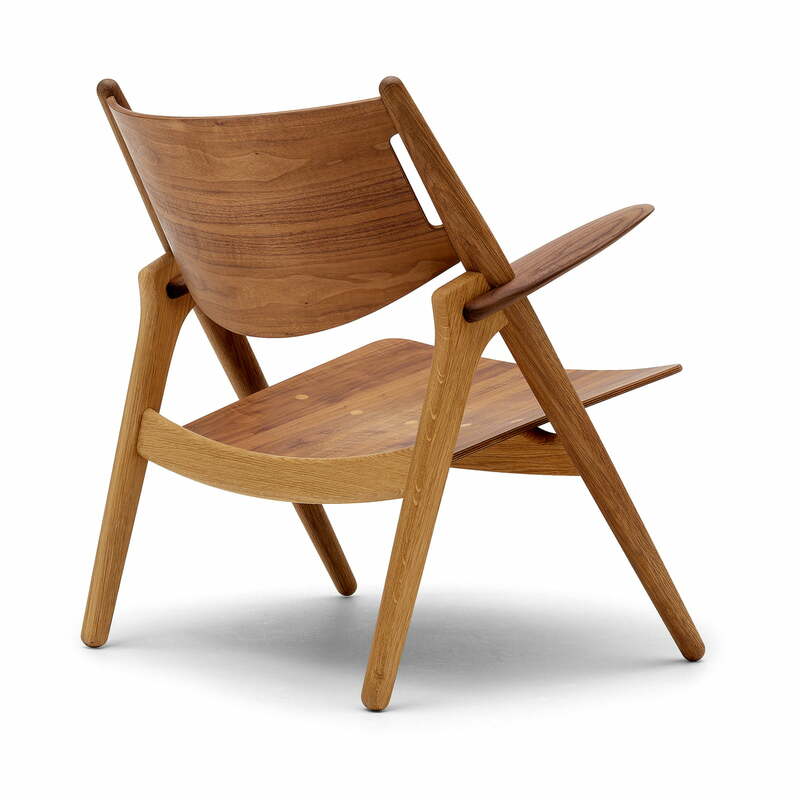 The functional and sculptural armchair with an unusual finish was designed by Hans J. Wegner as early as 1952. Wegner's desire to bring form and function into harmony becomes clear through a multitude of bold design decisions and appealing details. The armrests are carefully rounded and provide comfort when sitting. An interesting dynamic is also created between the thin, curved seat and back surfaces and the more robust round legs. The armchair consists of a solid oak frame. The seat and backrest as well as the armrests are available in oak or walnut veneer. The armchair is optionally available with upholstery with fabric and leather upholstery in various colours. This makes the chair even more comfortable and allows it to adapt perfectly to any room situation. 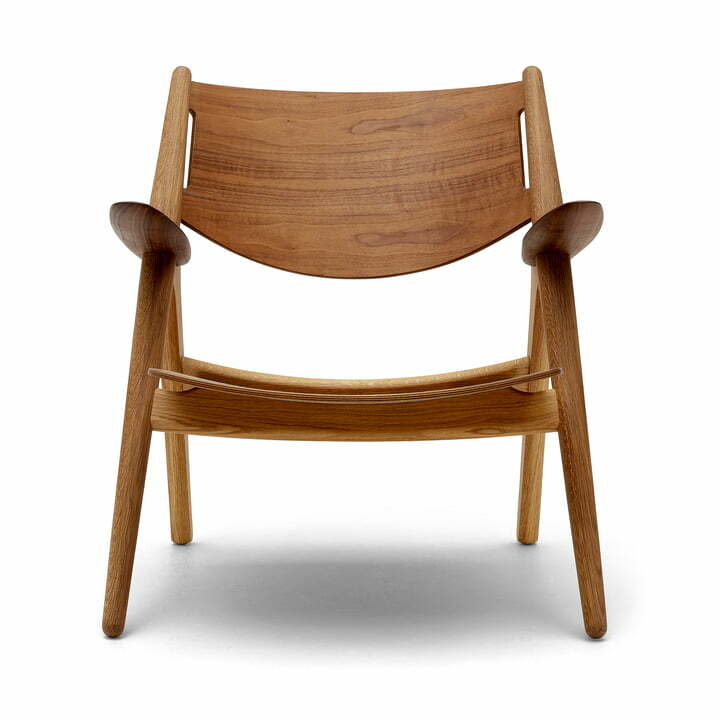 The CH28T Lounge chair from Carl Hansen in oak oiled in the product detail view. The CH28T Lounge Chair by Carl Hansen convinces with its sharp lines and the pleasant comfort. 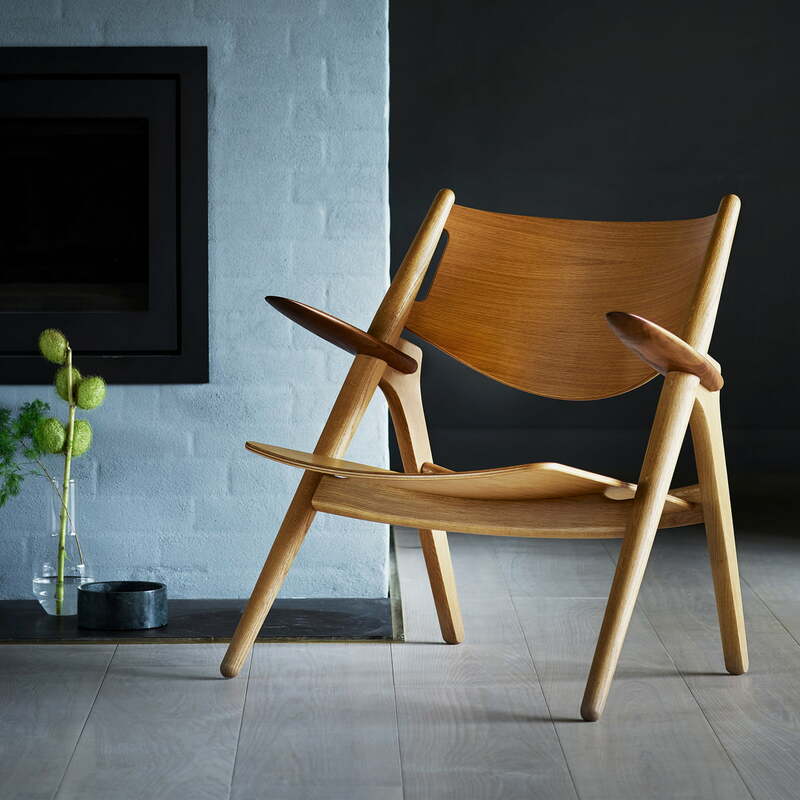 The CH28T Lounge chair from Carl Hansen oiled in oak. The functional and sculptural armchair with an unusual finish was designed by Hans J. Wegner as early as 1952. The armrests are carefully rounded and provide comfort when sitting. An interesting dynamic is also created between the thin, curved seat and back surfaces and the more robust round legs.